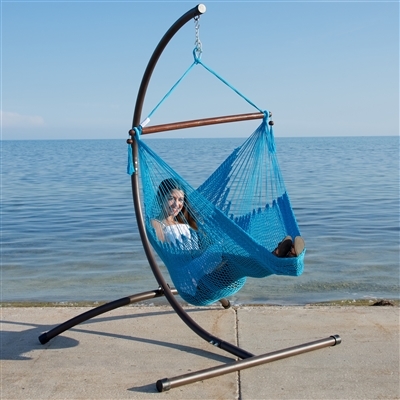 The Caribbean Hammock Chair and C-Stand Combo makes ordering easy and saves you a few greenbacks too! Easy three step plan: take out of the box, set up in your favorite spot, relax! It doesn't get any easier! *Weight capacity is 275 lb.